I couldn't care less about this emotional bankrupt's death. You live by the sword, you die by the sword - in this case - crocodile. I am glad this creature won't be around to train his children to copy the heartless and greedy lifestyle he has enjoyed. 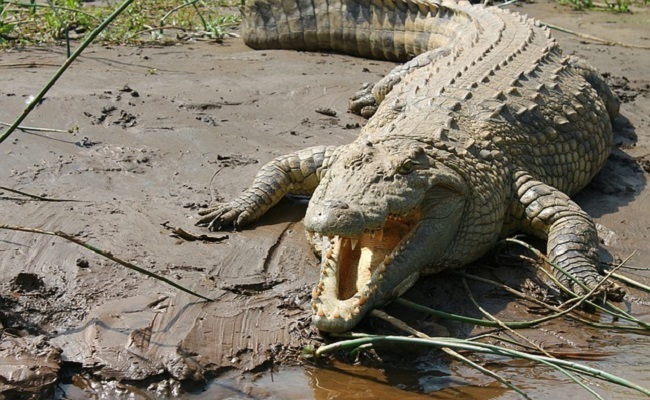 And I am sorry for the croc eating such a piece of lowlife subhuman filth. Great news hearing that these psychopathic evil and vile trophy hunters getting killed. All should be killed and eradicated from this planet. Am I sad for the croc? You betcha!